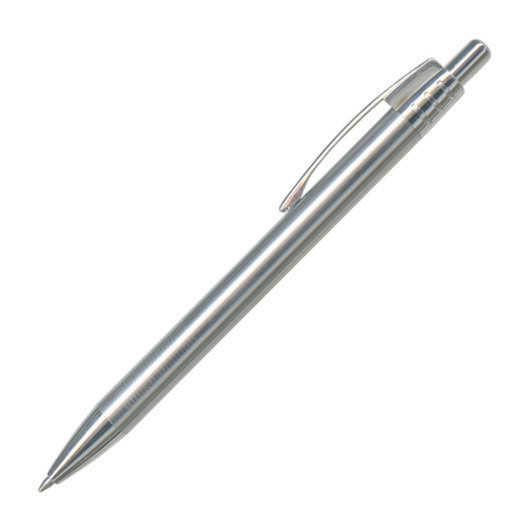 A high quality ball pen made from stainless steel. 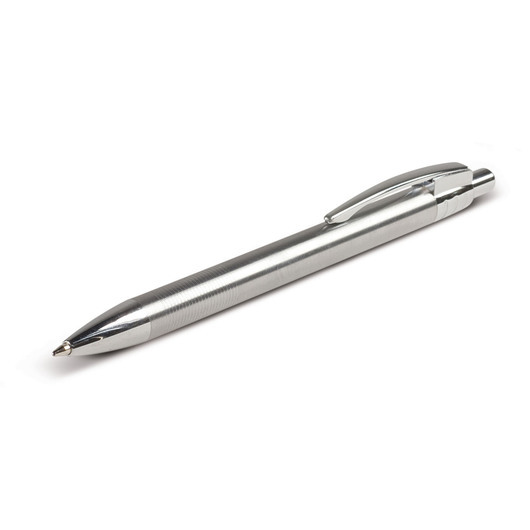 A remarkable retractable stainless steel ball pen with a high quality spring loaded clip and 1200m of black writing ink (blue available for additional cost). They laser engrave to a natural etch and can be presented in an optional velvet sleeve or gift box. 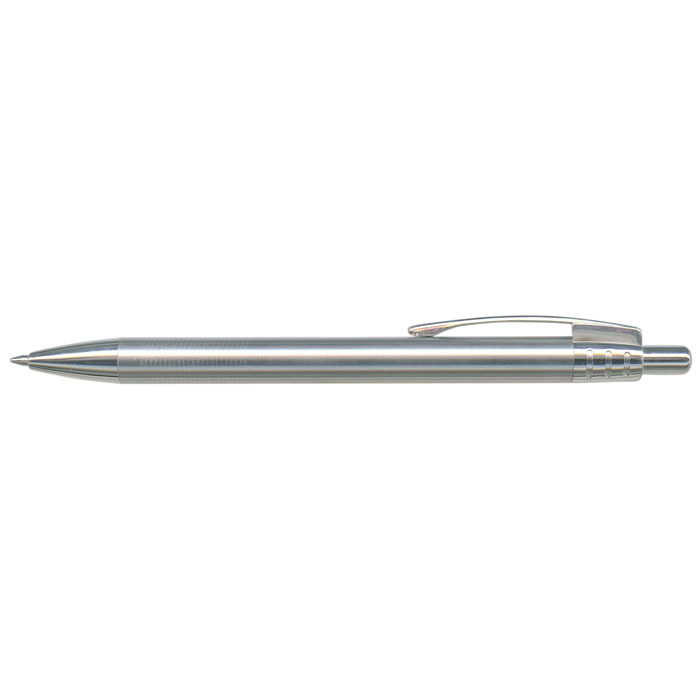 A fabulous gift or giveaway pen that will bring your promotion to new heights.